Viridian is described as a rich metallic peacock green shimmer. All nails are 1 coat with no top coat. 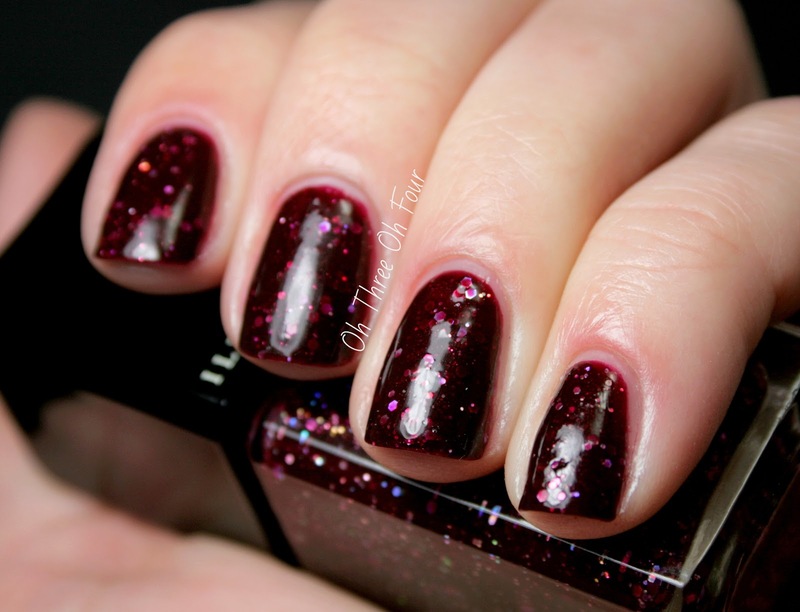 Glitterati has a deep raspberry jelly base and various sizes of multi-colored holographic glitters. I used 2 coats with top coat of Seche Vite. This set can be purchased online through Illamasqua here and Sephora here. You may also be able to find it in your local Sephora store like I did. Find Illamasqua on Facebook here and Twitter here.